Hear The First New Songs From Buddy & Julie Miller In A Decade : All Songs Considered The beloved Americana duo is back with its first new album in a decade. Hear two early cuts from it, "War Child" and "Spittin' On Fire." Longtime fans of Buddy & Julie Miller know better than to expect new music from them at predictable intervals. Throughout the 1990s, the married collaborators (and their co-written songs) constantly appeared on each other's solo albums. But this millennium, their output has slowed to a trickle of duo projects (the most recent arriving a decade ago) and Buddy's outside undertakings. Julie's ability to go out and perform was severely hampered by chronic pain and other difficult-to-manage health issues, though she hadn't given up songwriting. Buddy, meanwhile, took on more and more work as an increasingly coveted side man and producer, with Robert Plant, Patty Griffin, the Carolina Chocolate Drops, the War and Treaty and even the primetime television drama Nashville. The public absence of the Miller's singular, beloved dynamic — she the mischievous empath, he the soulful stoic — has been felt acutely, but their influence on multiple generations of artists in the Americana scene remains profound; it's evident in never-ending new interpretations of songs from their catalog; in vocal harmonizing that generates warmly affectionate friction rather than a seamless blend; in repertoires that make room for rawboned strains of Appalachian folk and honky-tonk, unguarded, diaristic singer-songwriter confession and the lurching, rhythmic looseness of early R&B and rock and roll. It's a small miracle that the Millers have completed a new album together, titled Breakdown on 20th Ave. South (after the location of their Nashville home and studio), due out June 21 from New West Records. 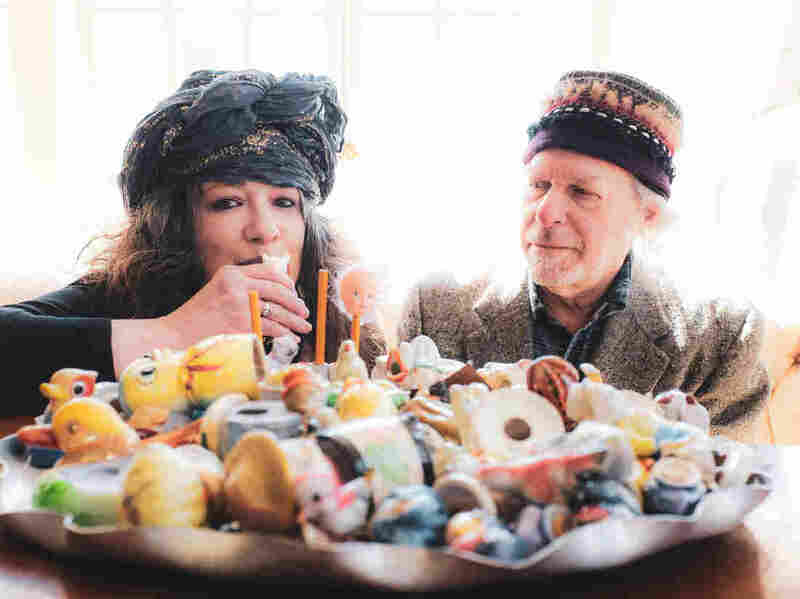 To make it a reality, they worked through complex feelings about their languishing creative partnership, Julie wrote a slew of new songs and finished up a few old ones and Buddy lugged recording gear up to their living quarters to create a comfortable, intimate music-making environment. New West is leading with a pair of songs, "Spittin' On Fire" and "War Child" (premiering today at NPR and also being sold as a 7 inch single), that highlight two prominent strains in Julie's writerly expression. She has a gift for summoning visceral, elemental imagery and knowing, plainspoken jive to convey what it's like to be caught up in sensual or spiritual longing. (See: "I Need You," "You Make My Heart Beat Too Fast.") "Spittin' On Fire" falls into that wing of her repertoire. Singing lead, Buddy complains, "I can't put out this desire / I might as well be spittin' on fire," and Julie's harmonies echo his reedy resignation. Another of her central concerns has always been the suffering of vulnerable people, children especially (though she also has an eye for childlike wounds and whimsies hidden behind grown folks' facades). ("Orphan Train" is the most widely covered example.) "War Child" falls into that category; set to a keening, modal tune, the lyrics are aimed at child soldiers stripped from their families and forced into battle. The Millers' harrowed delivery makes clear that their tragic plight hasn't gone unseen. At the heart of the album are the riveting idiosyncrasies of Buddy & Julie's partnership, and it's a wondrous thing to be allowed back in.